Limited time offer for Home Cleaning in Hudson County -- 30% off your first booking! Looking for reliable house cleaning services in Hudson County, New Jersey? Then we’re here to help. Since we were founded in 2012, we have connected thousands of customers to the best home cleaning services in their neighborhood. Now, we want to help you too. Bamidele has been cleaning my house for over a month now and I am still so pleased with his consistency and professionalism! The floors are a priority for me because I have pets—-they are always spotless after every cleaning. We just had our second cleaning with Fatima and continue to be impressed. She gets our apartment SPOTLESS in four hours when many others only get to 80% of our apartment and she puts everything back exactly where it came from. Love working with her!! Andrielle did an excellent job cleaning my apartment. I'm especially pleased about the oven and her attention to detail. Arrived a few minutes late but was extremely apologetic and made up for it in his pleasant demeanor and work. Very attentive. Accommodating. Went above and beyond to clean the house properly. Organized things pretty good. Goes above and beyond-makes odds & ends neat and orderly. She also leaves a personalized note at the end of every cleaning. Great service! Hey Andrielle, thank you for cleaning our house so well. Hope to meet you soon and that you are going to be our regular professional. Why choose Handy when you need house cleaning in Hudson County? We’re trusted by homeowners and renters all over New Jersey for many reasons. When you book home cleaning services through Handy, you’ll instantly discover cheap housekeeping and house cleaning professionals, all just a tap away. We believe professional home cleaning should be an affordable luxury, and the prices set by home cleaning providers on the Handy platform reflect this. Once you’ve booked a maid service through Handy, you’ll be surprised at just how wallet-friendly home cleaning services can be. With our Handy app or right here on the Handy website, you can book the best home cleaning services and professional maids in Hudson County instantly. Schedule a time slot that’s right for you, as early as tomorrow, depending on availability. We know you want two things in life: a clean home and free time. We connect you to professional home cleaning services who’ll take care of your home while you enjoy life again. And for the best house cleaning service, you can also book deep-cleaning add-ons and extras for a small additional charge. Who can use Handy to book house cleaning in Hudson County, New Jersey? We connect our customers to top-rated home cleaning professionals all over Hudson County, helping time-strapped folks like you find cheap house cleaning services whenever needed. If you need a cleaning lady to provide a weekly, biweekly, or even monthly cleaning, our job is to take the weight right off your shoulders and give you a break. Perhaps you need to book a move out cleaning or housekeeping services for an apartment share? Or maybe you travel a lot and need cleaning services to keep your home dust-free? Whatever you require, professional home cleaning booked right here through Handy will give you instant access to the best home cleaning services in Hudson County. That’s why busy people all around Bayonne, Jersey City, and Hoboken book cheap home cleaning services through Handy and not through other traditional, expensive cleaning companies. We know life can be stressful, and juggling your work and family commitments can be challenging at the best of times. Let us make your life easier by connecting you to the best house cleaning services around. 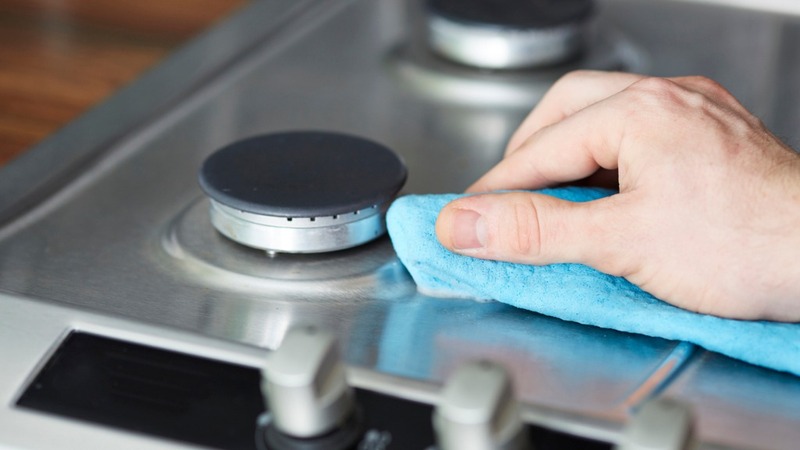 If you work long hours and commute to Manhattan every day, finding enough time to squeeze in your household cleaning chores can be tricky, especially if you live out of town. That’s why residents and landlords choose cleaning services again and again. Why? Because house cleaning services in Hudson County will help you take control of your life. When you book a house cleaner, you can get more quality time with your family. Wouldn’t you prefer to go for a nice walk or jog in Liberty State Park instead of spending an hour vacuuming your floors and cleaning your kitchen? Or maybe you wouldn’t mind a couple of hours dining out at your favorite restaurant in Manhattan tonight instead of washing a pile of dishes and mopping your floors? Then let your house cleaning pros take care of everything. When you book house cleaning in Hoboken, Jersey City, Bayonne, or elsewhere in Hudson County, you can enjoy more leisure and relaxation time. With your professional house cleaning, your home will look spotless when friends pop into your place for an impromptu hello. Or maybe you’d like to host a party in your apartment but don’t have the time to make everything tidy beforehand? Just book your Hoboken home cleaning right here, through Handy. Our goal is to give you instant access to the best house cleaning service in Jersey City. We know you’d much rather be binging Orange is the New Black or practicing Wonderwall on guitar than cleaning your house, especially after a long day at work. Book your home cleaning service in Bayonne today and look forward to a more comfortable home and a happier lifestyle.